Wouldn't it be great if you could take a home loan and not have to pay any interest? That kind of mortgage loan is called zero interest home loan. In a zero interest home loan banking environment, banks issue home loans to customers at zero interest. That means you repay the capital borrowed and nothing more. Are there any banks in Nigeria offering mortgage loans at zero interest rate? In fact, commercial banks in Nigeria charge interest rates that some consider outrageous. The last time I checked, the interest rates were between 15-19 percent. But don't take my word for it. Check with your bank. Here's one important thing to note. The bank stated interest rate may not reflect the total cost of taking the loan. So, you need to specifically ask your account officer for all the other charges included in the loan deal. Be sure to ask for the total fees involved before you take any mortgage loan. Second, request that your account officer give you a copy of the repayment schedule that shows the exact amount you will pay to the bank each month for the life of the home loan or mortgage loan. One of my clients referred to taking a home loan as "slavery". She originally applied for a mortgage loan with her bank but later declined it when she saw the change in lifestyle of one of her colleagues who recently bought a house with a property loan. She said things were tougher for her colleague after he took the property loan as the burden of repaying the property loan was taking a large chunk of his income. I pointed out that her colleague now has a home he couldn't have bought with his own money at his current salary level. But the thought of being a "slave" for the bank, and paying money to the bank month after month, didn't quite sit well with her. And so, she didn't take the loan and, therefore, couldn't buy the house anymore. Do you think the benefits of taking a home loan and buying your dream home sooner is greater than the burden of repaying the loan? Do you think mortgage loans amount to "bank slavery"? However, if you would like to take your own destiny into your hand and not have to play by the rules of your bank (or any bank offering you home loan at exorbitant interest rate), we have a deal for you. If the thought of buying a house at zero interest rate appeals to you, read on. The Erimama Wealth Network provides an income opportunity that empowers anyone from anywhere in Nigeria and the world to generate income towards buying a home of their own. The best part is . 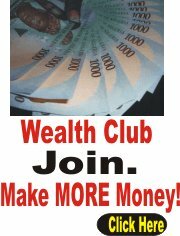 . . you get to generate income at a much faster rate than most people earn from their day jobs. And you do this working part-time or full-time without disrupting your current schedule. All you need to do is invite people you know online or offline to the Erimama Wealth Network. And the company will pay you on the total purchases and sales volume of everyone in your team. The best part is . . . the company also pay members recurring lifetime commission, commission for the life of the customer. This means that you keep earning on the sales performance of everyone in your team for as long as they remain a member of the network. Consequently, your earnings grow exponentially as you keep on recommending the Erimama Wealth Network to friends, family, acquaintances, and everyone you meet online or offline. WOW! This is simply awesome! If your bank has DISqualified you from taking a home loan (or you're Qualified to take a mortgage loan but you're uncomfortable with bank home loans and their exorbitant interest rates in Nigeria), you don't have to worry because there is a better way. Yes, you can generate extra income towards buying or building your dream home through the Erimama Wealth Network! Yes, you can finally buy or build a house at zero interest rate with the Erimama Wealth Network! Ready to change the size of your bank account positively? Scroll to the bottom of the page that opens and fill the signup form. 1. Ocean view Luxury 3 bedroom flat for sale at Ocean Parade Towers Banana island Ikoyi Lagos. Vemma, the American network marketing company, will be launching in Nigeria soon. If not, click HERE to join. Signup using the link above and then make plans to attend the special seminar scheduled to hold this Saturday February 18, 2012 where the pre-launch coordinator, Ken Stewart who just flew in from Kenya, will be delivering a series of lectures and coaching program to put new members on fast-track to success. See details of the Vemma seminar in Lagos Nigeria below. P.S: Vemma officially opened for business in Nigeria May 2014. Click HERE and scroll to the bottom of the page that opens to fill the signup form. Vemma Brand Partner registration is absolutely FREE!